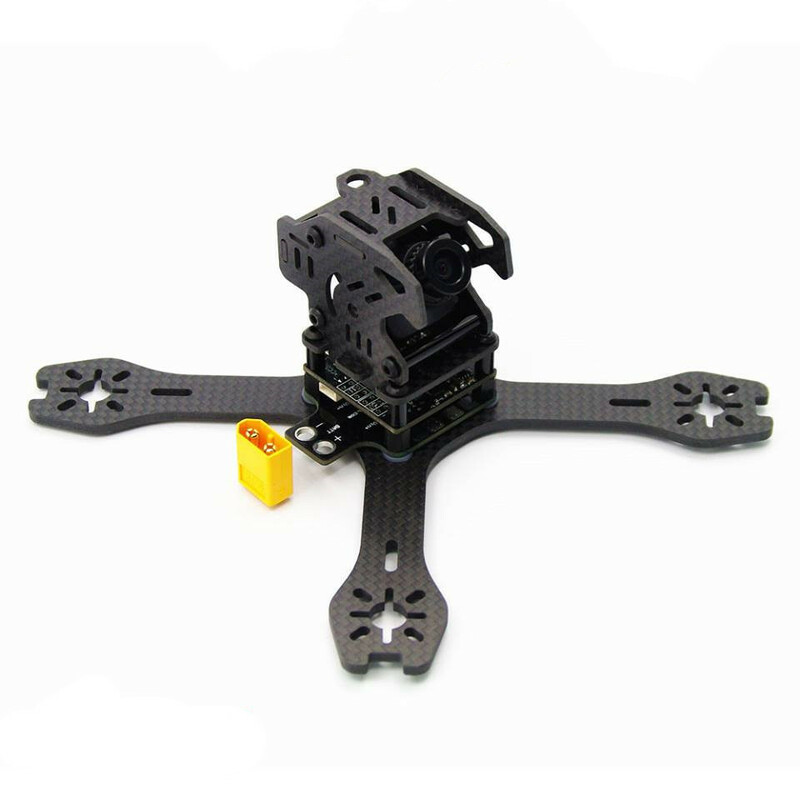 Built a customized FPV quadcopter of your own with this Reptile RX155 155mm 65g Full Carbon Fiber FPV Quadcopter Frame Kit with XT60 PDB! Full carbon fiber construction features high strength while still maintaining light weight. Unibody design is tough enough to resist shock and impact for durability. Reasonable layout allows for simple and convenient installation. The frame comes with a power distribution board with XT60 male plug. With such great design and high quality, it surely is your ideal choice. Click and order now!